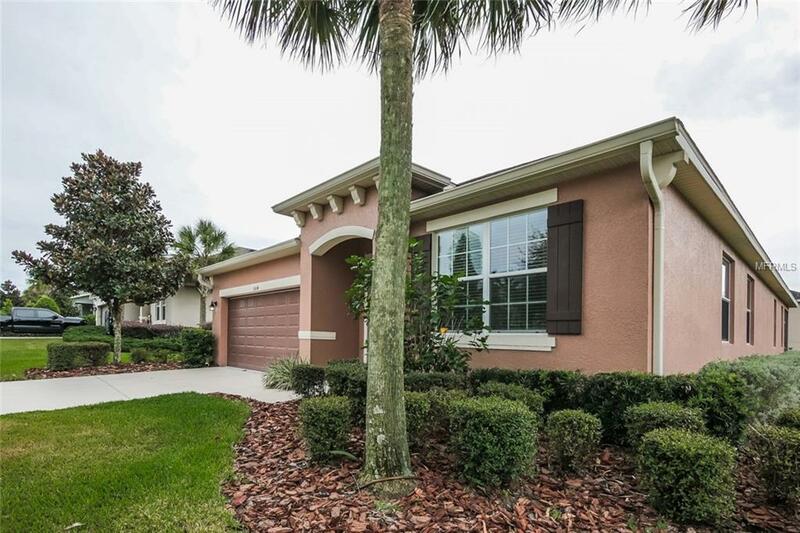 Must see this Beautiful FishHawk Ranch home. Very open floorplan with large formal dining room, family room off the kitchen. Ceramic tile throughout main living area and carpeting in all bedrooms as well as the den. Beautiful kitchen with 42' cabinetry, granite countertops, stainless steel appliances, gas stove and large breakfast nook. There is a den that could be used as an extra bedroom. The master bedroom has a large walk in closet. Master bathroom has granite counters, his and her vanity sinks, garden tub, and separate stand up shower. Screened in lanai off the family room. Interior laundry room.